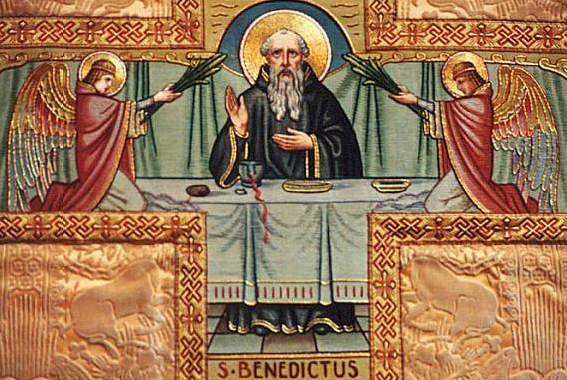 I was greatly privileged last night to be able to listen to a talk given by Fr Cassian and Fr Gregory from the Benedictine monastery in Norcia, in Italy, which is the birthplace of St Benedict. The address was on the subject of stability, comparing and contrasting the monastic life with married life, which is a wonderful title, since these two ways are the principal ways by which we might live the Christian life more perfectly, so it seems fitting to compare and contrast them. Stability, of course, is something that we Norbertines share with the Benedictines, although, unlike monks, we do not make a vow of stability in the same way as do monks (they make specific vows of stability, conversion of manners, and obedience, although the principle is the same). Our vows of poverty, consecrated celibacy and obedience are always made, however, in the context of stability: we make our vows not only to God, but to our superior, and our brethren, before the people of God, in our particular houses. Monastic stability does not necessarily mean, however, stability in a particular building, although that is an important part of it, of course. We must be able to love our buildings, and be comfortable in them, and, when the time comes, expand them. Given that monasteries are supposed to be little beacons of heaven (more visible from the outside, perhaps! ), it seems fitting to apply the analogy of the psalmist to a monastic building, who, referring to Jerusalem (a type of heaven in the old testament), says: “thy servants think upon her stones” (Ps 102:14). The monks of Norcia re-founded this ancient monastery 16 years ago – they are now 20 in number, 11 in solemn vows – and are steadily growing, and now need to expand their buildings. In Chelmsford, we are a younger community – our independence was gained 10 years ago, and we have been in Chelmsford for only 6 years – and, given that God has seen fit to bestow vocations upon us, it will be our responsibility also to expand our capacity. Stability refers to a commitment to a particular group of people in a particular place at a particular time. The love and affection we have for each other has brethren is similar to familial love: if we are parents, we do not choose our children; as children, we do not choose our parents, or our brothers and sisters. In religious life, this is also the case: we do not choose our brethren. They are already there when we join, and, after we join, more will follow. God gives them to us – and God gives us to others – as a means of sanctification. proles: an openness to new life. This can refer not only to marital procreation – although this is the specific meaning implied by Augustine – given that not all married couples will be able to have children for one reason or another. There is a difference between accepting God’s gift for what it is, and rejecting God’s gift. In marriage, he may or may not bestow the gift of children upon a couple. In religious life, he may or may not bestow the gift of more vocations upon a monastery. In both cases, if the respective parties live their life contrary to God’s will for them, if they are closed off to vitality, growth and new life, then the marriage will shrivel; the monastery will fail. I think also that this requires a certain degree of holy naïveté: we must be willing to accept what we are given as the gift that it is. Christ, after all, commanded us to be childlike. 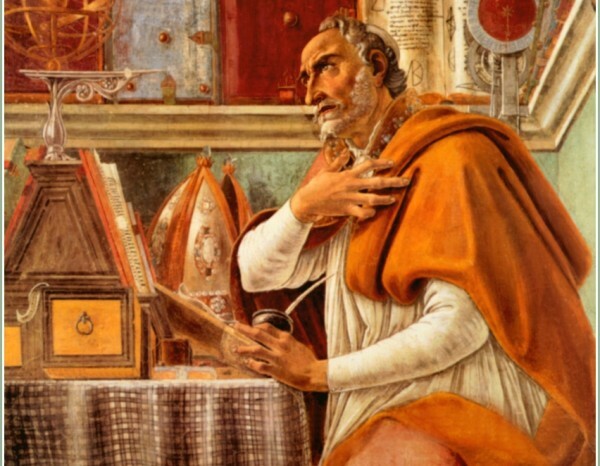 sacramentum: by which Augustine does not mean that marriage is one of the seven sacraments, but he is referring to the bond “till death do us part”. Marriage is the only original dispensation that was not washed away by the flood, but it is something these days that has, in general, in the west, lost its sense of permanence. Due to our fallen human nature, of course, sometimes our relationships with others do break down. Indeed, Almighty God knows all about that: He falls victim every day to our continual acts of infidelity against Him. So many, particularly younger, couples do not discuss important things with one another, like having children, until they are actually married, and they are so afraid of conflict – or, more likely, the have little understanding of human nature, and virtually no self-awareness – that at the first argument, some newly-weds even decide to separate. We know, however, that we do not come down off the cross; we do not run away at the first sign of difficultly (sometimes we do, because we are afraid; but that does not mean that we cannot try to return to Calvary and pick up where we left off). In marriage, and the religious life, we learn about the Christian virtues, and how to apply them in real situations, particularly the ability to forgive one another – not least, ourselves. In short, we learn how to become Christ-like. In whichever way we live the Christian life, each one of us is called to strive to live it ever more perfectly. We have seen, hopefully, how these two ways of life, marriage and religious life, are great gifts of Almighty God, in that they are the most well-founded means for our sanctification, and for those around us. Things of God are attractive, whether they be long-lasting marriages or flourishing religious communities. In these dark ages in which we live, may those who choose these paths truly be a shining beacon of Christ, a lamp-stand on a hill-top, and so sanctify the world. The Year of Consecrated Life will begin on the first Sunday of Advent this year.